Calling all chocolate lovers! National Milk Chocolate Day is celebrated annually on July 28. When solid chocolate is combined with either powdered, liquid or condensed milk, it is known as milk chocolate. Milk chocolate is the most popular member of the chocolate family and with good reason. It’s creamy, smooth and mostly used in candy bars. It is believed that milk chocolate was first created as a drink in the mid-19th century in Germany. 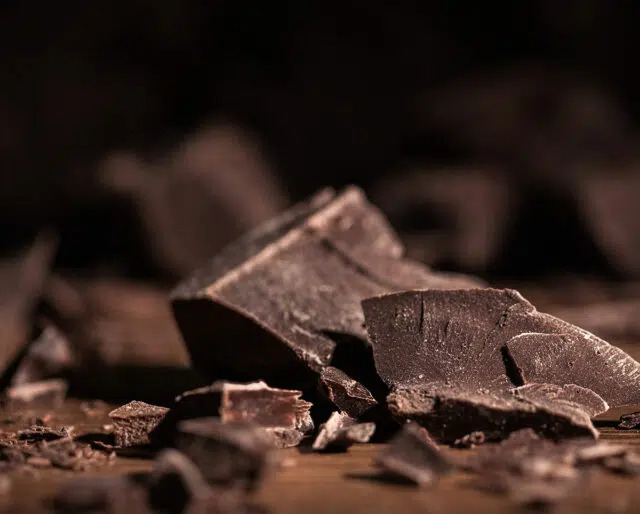 The first milk chocolate, in the form of a bar that we all recognize today, was created by Swiss chocolatier Daniel Peter in collaboration with Henri Nestlé, the founder of the chocolate company Nestlé. Get your baking aprons on because today we celebrate all things milk chocolate. You know you want one! Most candy bars are made with milk chocolate, so this is an easy and yummy task. Caramel, coconut, cookie nugget — the types of candy bars are endless. Grab one and celebrate today. It is, after all, a national holiday! Until the end of the nineteenth century, sweet ingredients, such as sugar, chocolates and exotic fruits, were expensive and so cake baking was considered a luxury. Only the nobility and the upper middle class could afford cakes for special occasions. As prices dropped, no special occasion or holiday would take place without a cake. The perfect way to observe the day is to bake a double-layer (or triple) chocolate cake. No kids allowed. Dessert cocktails are perfect when you’re having a chocolate craving. They’re rich and creamy usually satisfies that sweet tooth. Your favorite spirit can be a perfect complement to milk chocolate. Nothing gets us more excited to bake than the idea of a milky, chocolaty dessert at the end. Whether we have milk chocolate chips or a milk chocolate bar in the cupboard, it’s the perfect excuse to whip up something decadent. Chocolate pudding, chocolate chip cookies, brownies, a triple-layered cake, milk chocolate is the perfect reason to get out your apron — and don’t forget to lick the bowl! We all know you can eat the sweet treat, but did you know there are other uses for it too? Milk chocolate is sometimes used in hair care products and even skincare products. It contains ingredients that are beneficial to your skin. The level of antioxidant compounds in cocoa is higher than that of green tea, black tea, or red wine. Ok, so the nutritional benefits of milk chocolate are not as extensive as dark chocolate, however, there are still some to be considered. Milk chocolate is a stimulator, to the brain and to the emotions, thus, increasing your stamina. While in moderation, we do need fat in our diet. Milk chocolate can be a great source.